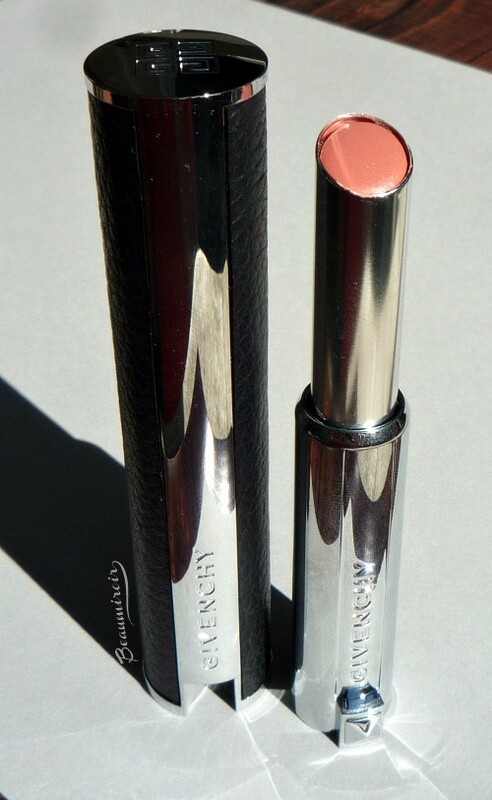 I've already told you how much I love the original Givenchy Le Rouge. 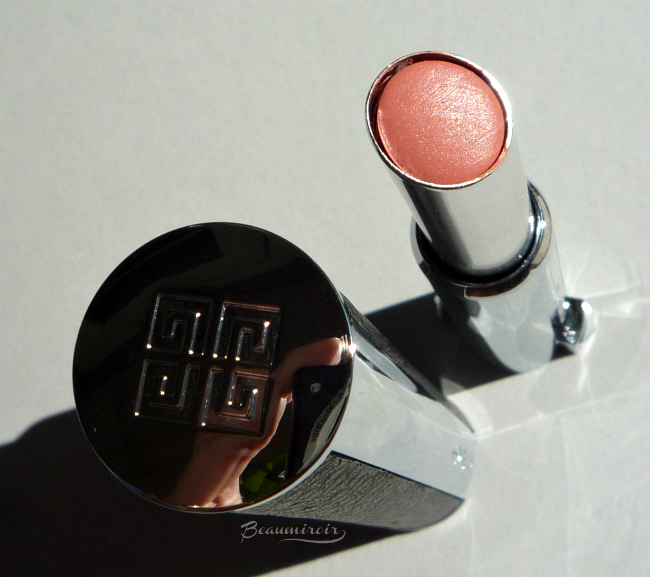 This luxurious lipstick with its leather case is gorgeous, but because the color payoff of most shades is rather intense I tend to keep it for nights out or special occasions. 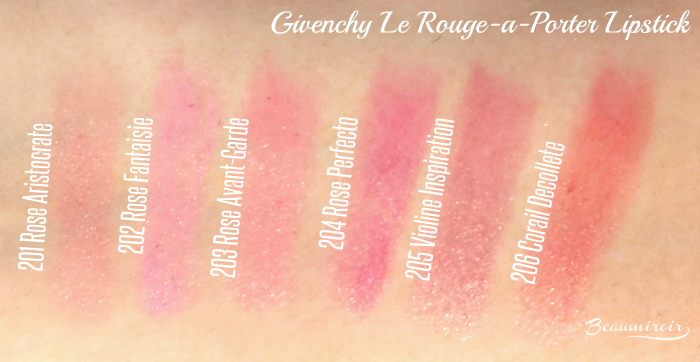 Luckily, Givenchy launched an easy-to-wear formula for daytime called Le Rouge-à-Porter last year around spring. 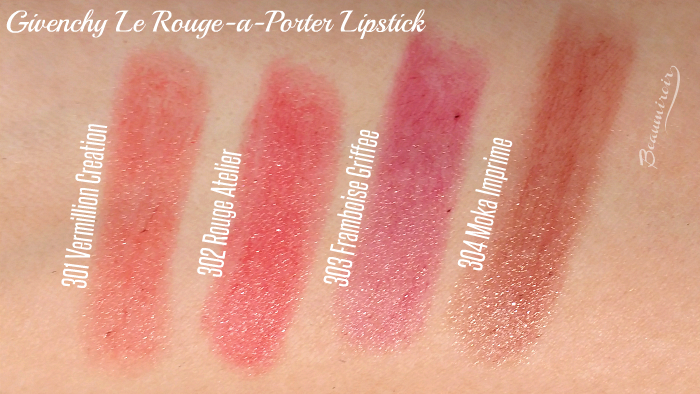 As its name indicates, this is a more approachable prêt-à-porter version of the couture Le Rouge. Being ready-to-wear doesn't mean it's less fancy, and Le Rouge-à-Porter features the Le Rouge signature real black leather case with silver details, just slightly more textured. This time the tube is long and thin, although still quite hefty. 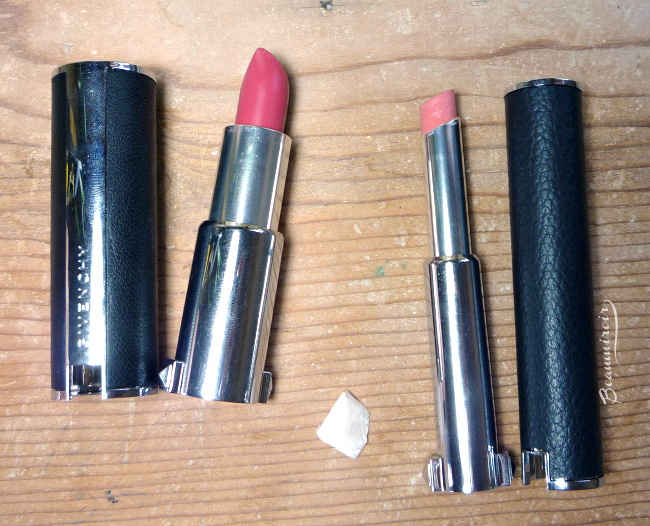 The lipstick itself looks really tiny and indeed it only contains 0.07 oz of product, versus 0.12 oz for the original Le Rouge. And yet they retail for the same price, $36... Anyone rolling their eyes? 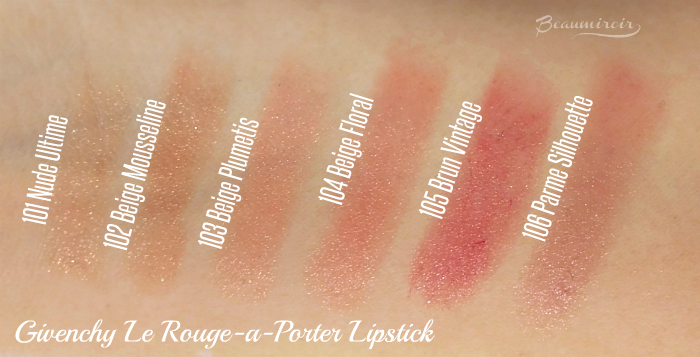 Le Rouge-à-Porter feels light on, but it doesn't seem to be particularly hydrating nor is it completely weightless like some recent sheer lip color formulas. There is a very slight tackiness to it, but it remains very comfortable overall. The shade I'm showing you today called Beige Plumetis is a very light peachy pink beige. 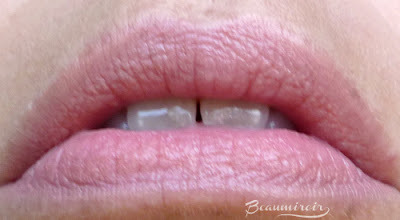 Unfortunately like most pale shades it has a tendency to get into lip lines, although that's only visible from very close. It will also emphasize existing dryness on the lips such as flaking very badly, so you absolutely want to prep your lips before application. 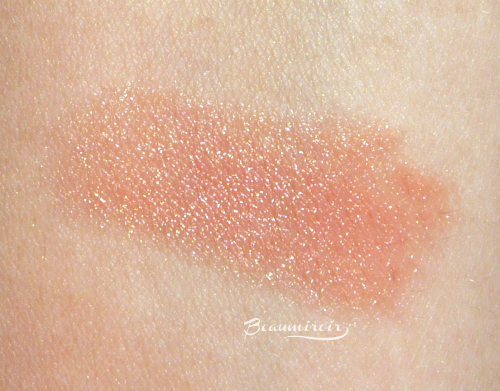 For such a pale shade it actually delivers quite a bit of pigment. 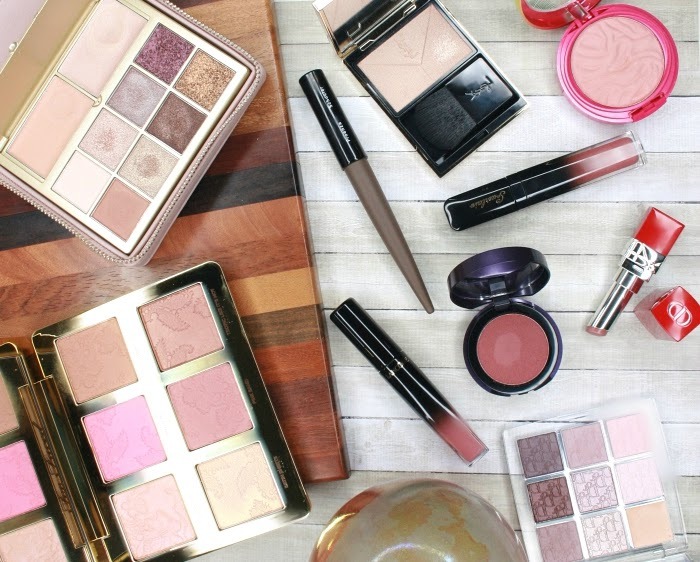 Pale nudes with pink or peach undertones can sometimes make me look like a corpse, but this is not the case with Beige Plumetis. The semi-sheer coverage and the warmer beige tone in this shade actually make it a very flattering color for me, which is extremely rare for a lipstick that's lighter than my natural lips! 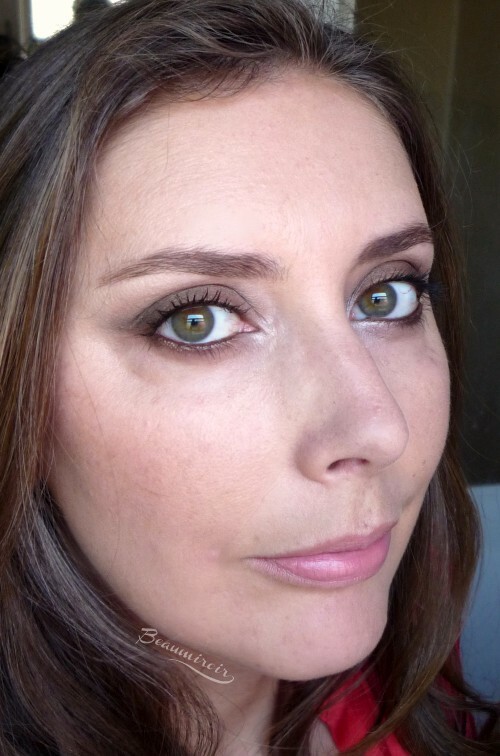 Because this is such an understated color I like to pair it with a smoky or dramatic eye for a balanced look. 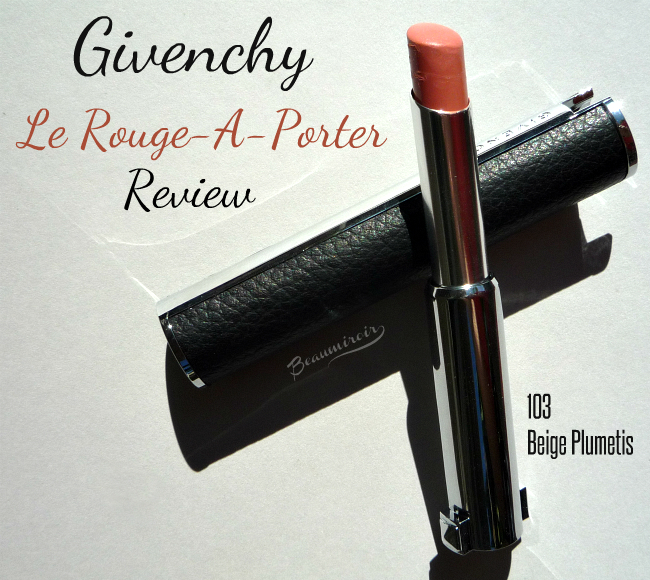 If you like the Givenchy Le Rouge but find yourself not using it very often due to its intensity, you'll love the Le Rouge-à-Porter version. 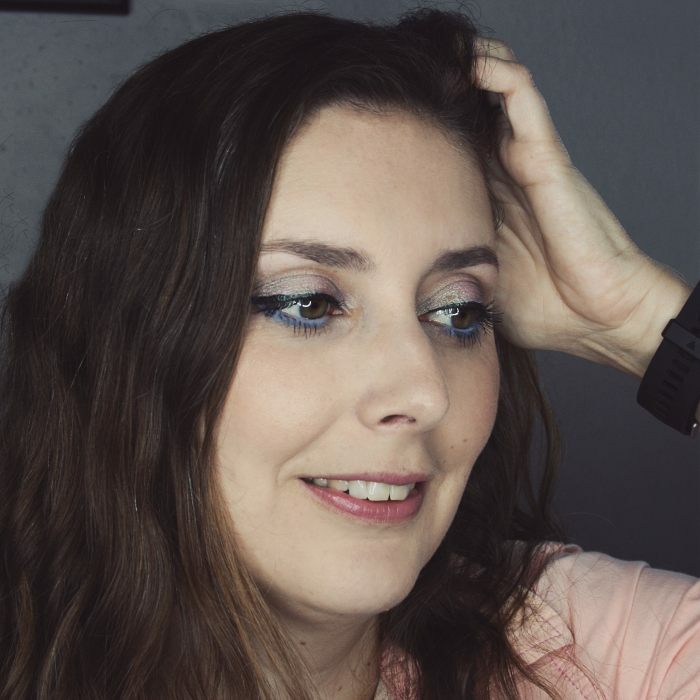 It's a great semi-sheer lipstick for everyday wear, although the price tag (same as Le Rouge while you get almost half the amount of lipstick) may make you cringe! 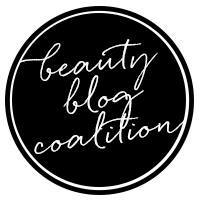 Do you wear full coverage, high-intensity lipstick during the day, or do you prefer sheer, more forgiving formulas such as Le Rouge-à-Porter? I received the product featured in this post as a gift in a Secret Santa event organized by Gummy. It means that I sent products to another participant and received this one from my Santa, both costing around the same amount. I received no compensation to write this post, which only reflects my personal opinion. This post contains affiliate links.